Car parking at the complex: There is limited car parking space in the running complex car park, so be sensible about where you park. If you arrive late then park somewhere outside and walk in. DO NOT just abandon your cars inside. Last Monday, there were huge problems with car parking and this can’t continue. If you arrive late on Monday then there is no way you will get parking inside – it is quicker to park outside and walk in. The same applies to the people that go turbo training. Just try and be a little bit more considerate. Training Turnouts: The turnouts for training this week have risen from previous weeks and that is great to see. There are plenty of new faces in the club this year so for older members – try to make everyone feel welcome! For those new to the club keep plugging away as things will get easier. Swimming Deals: To once again show our appreciation to our members for your continued support we are working on getting a discount on your pool entry fee. Whether you pay by session or for a monthly ticket, we hope to be able to subsidise that cost. We hope to have something sorted for next week so stay tuned for details. Every little helps! Turbo Training: The club is hopefully going to trial a Thursday evening turbo session till Christmas. The continuation of this session will be number dependent. With the typical Irish Winter weather making it very hard to cycle at night it makes sense to put on another turbo session for those that want a quality session that is always on. This turbo session will hopefully start next week in the running complex, cost = free. Bring a towel and water. We have spare turbos if you just want to try it out. Guardian Article: We hope to have a regular Ironman training update placed in the Guardian every couple of weeks. The article for November is nearly written, we are just waiting for our 9 Ironman wannabes to send back a little 50 word blurb about themselves – Keith is stuck on “My name is Keith. I like triathlon.” and Shane needs time to edit down his 1,050 words about how great he thinks he is. Send it to the Ironman group on Facebook when ye are finished lads. Next up = the group photo! 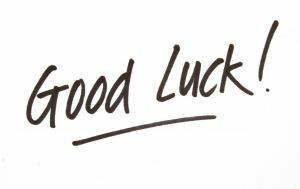 Best of luck: to all those that are racing this weekend. The Munster Juvenile Uneven Age & Intermediate Cross Country Championships are on in Cork. Hopefully we will see both Darren Dunne and Killian Cullagh in the medals at this. The Sea2Summit adventure race is also on in Westport and we hope to see Gary and Shane on the podium as well in that race.